(1991/Castle) 25 Tracks, Collectors Series - last copies! 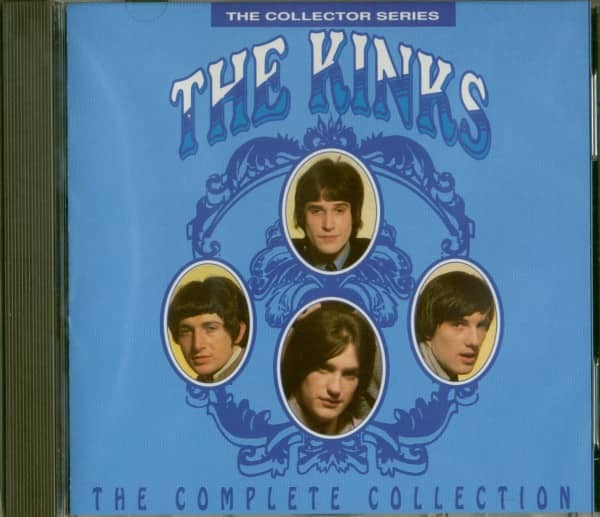 Founded in 1964 in London The Kinks are one of the most consistent and important groups on the English rock and pop scene, although they have been absent from the single hit lists for some time. Under the leading influence of bandleader and author Ray Davies, the Kinks already developed their own aggressive style in the early years of the beat age, which was reflected in the early hits of the group ("You Really Got Me', "Louie Louie', "All Day And All Of The Night', "Tired Of Waiting For You' and others). Finally, the quintet (along with Ray Davies, his brother Dave[voc + g], John Dalton[b], Mick Avory[dr] and John Gosling[keyboards]) developed into a musically mature group that was often compared to the social-satirical work "Arthur" with the Who and their pop opera "Tommy". Ray Davies now turned more and more sarcastically to show business, which he sharply criticized in his following songs. 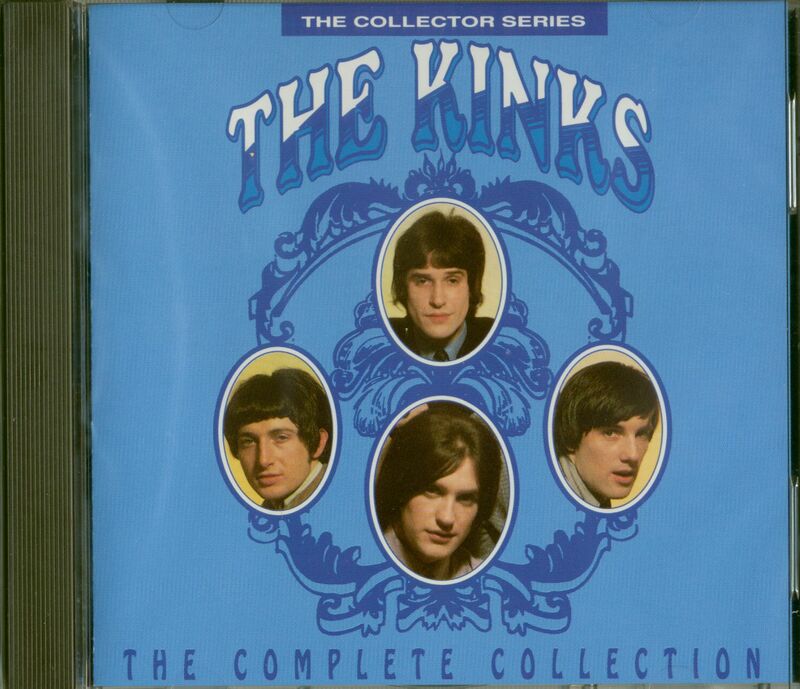 After the success of the Kinks LPs "Muswell Hillbillies' and "Everybody's in Showbiz ~ Everbody's A Star' Ray Davies wrote the musical "Perservation', after which the currently last LP was recorded by the Kinks, "Soap Opera'. 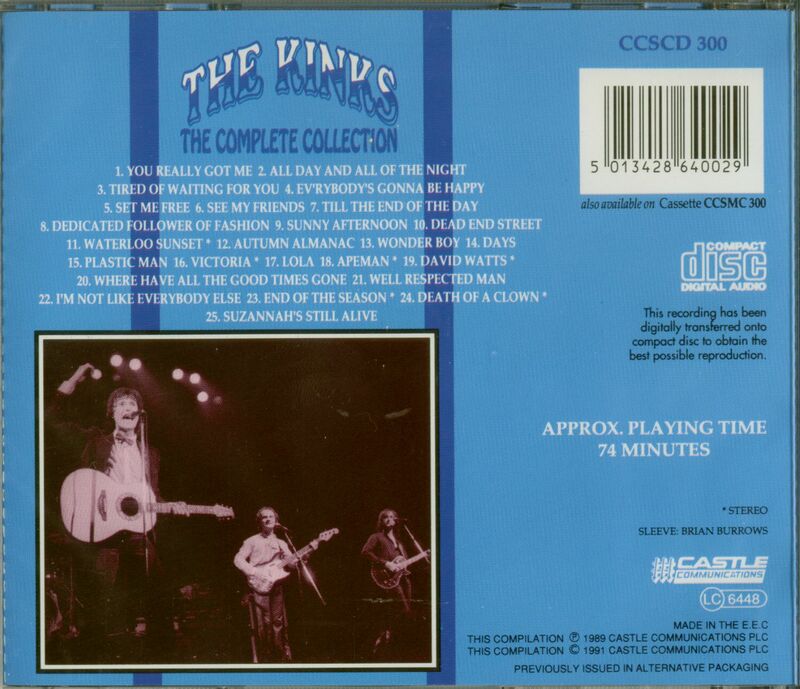 Customer evaluation for "The Complete Collection (CD)"